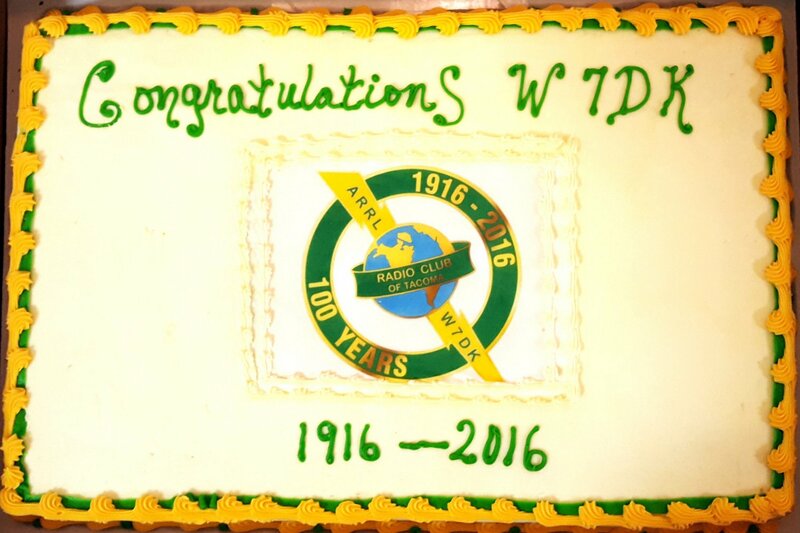 During 2016, the Radio Club of Tacoma celebrated the 100th anniversary of our founding! Close your eyes and imagine. In the early days of radio, transmitting and receiving messages was pretty rough. What was it like trying to copy a message sent out into the ether by a spark gap transmitter? 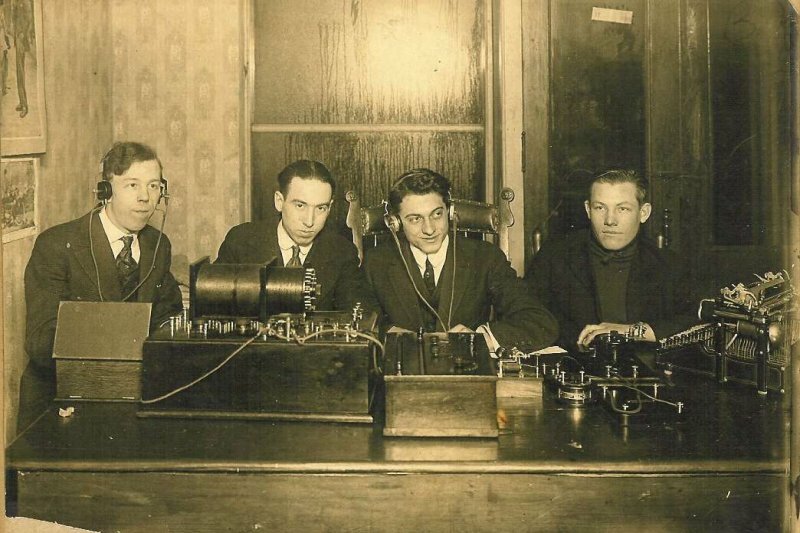 And who were those young experimenters from Stadium and Wilson high schools, in suits and ties, who first joined together in 1916 to form an amateur radio club in Tacoma? 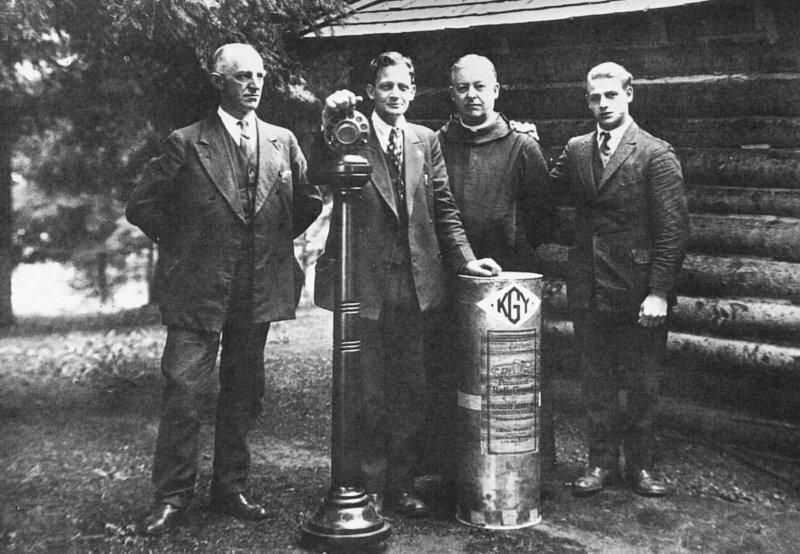 From left to right, these first Radio Club of Tacoma officers are Alvin Stenso 7LB (Treasurer), Edwin Moe 7AG (Secretary), Howard Reichart 7HR (President), and Dwight Mason 7DL (Vice President). The Club was formally begun with around 30 members that were drawn together by their curiosity and the mentoring influence of Father Sebastian Ruth 7YS of St. Martins College near Olympia, WA. 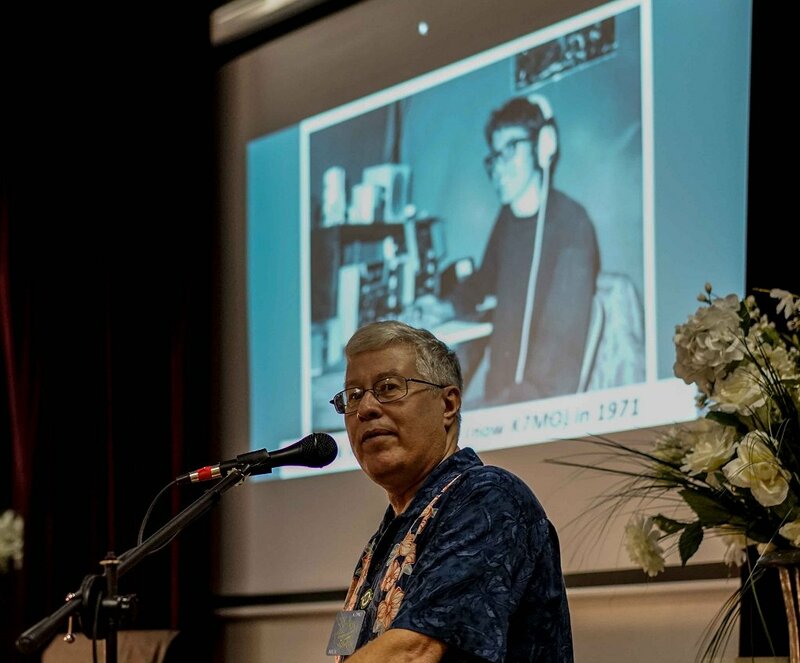 Father Ruth is an example of overlap between amateur and professional radio at the time: he also established broadcast station KGY at Lacey, WA. RCT officers Howard Reichart and Al Stenso shortly followed into commercial radio, and Stenso established station KGB at the Tacoma Ledger newspaper office in the early 20's. 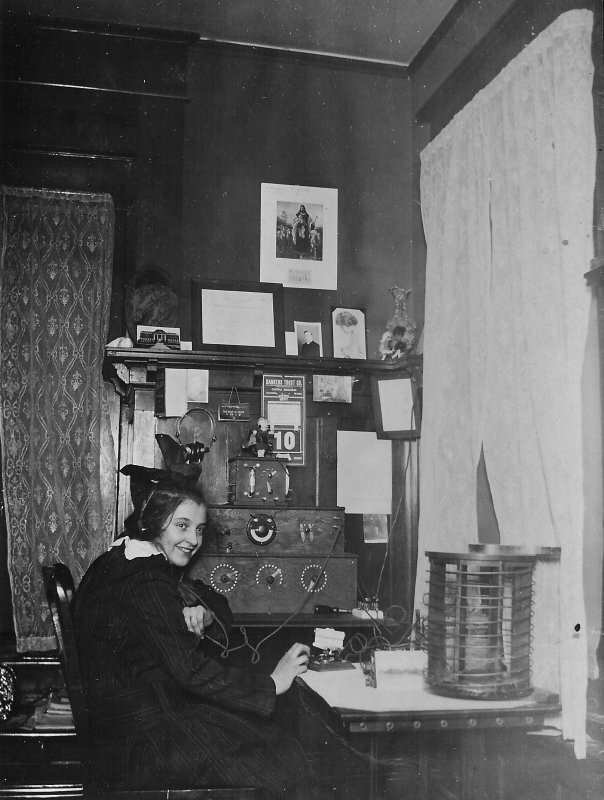 Notably, the original RCT membership also included the first YL operator in the Pacific Northwest, Winifred Dow 7FG (later 7CB). An article about Miss Dow, One of the Young Lady Operators, appeared in the April 1917 issue of QST magazine. At that time, she was 14 years old and in the eight grade. She is also mentioned in the Who's Who in Amateur Wireless column of the April 1922 issue of QST. She was both an ARRL official and secretary of RCT that year. In 1927, the Federal Radio Commission granted callsign W7DK to RCT. 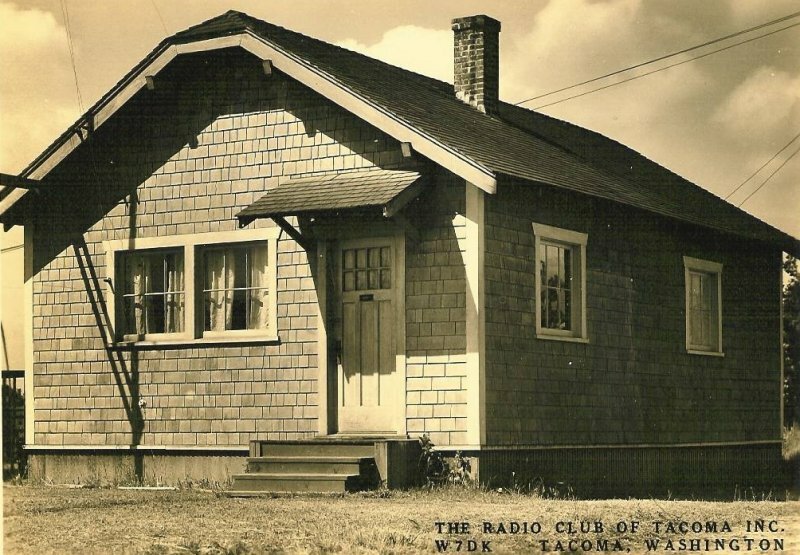 The Club purchased a property for $100 at 1462 Oakes St. in Tacoma, and Club members constructed a building to house the Club's radio station. Later, during the Depression (1939), the Club was forced to sell this property. However, the building still stands and is used as a residence. In 1957, RCT purchased the property it now occupies, at 1249 S. Washington St. The Club has a large archive of photos. You can view a selection of them, spanning our 100 years, here. 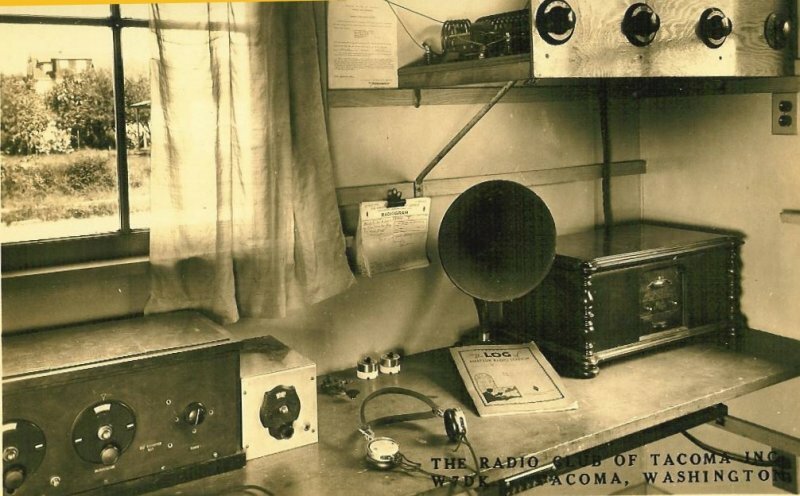 Having begun in the waning days of spark gap and just as the vacuum tube was being developed into a practical device, the Radio Club of Tacoma has participated in the entire history of radio. Now blink your eyes and take in the present day world of large scale integration, surface mount components, software defined radios, repeaters linked together worldwide by the internet, digital signal processing, working DX from a mountain top with a tiny QRP radio... Whatever the next 100 years brings, RCT will be there to see it. During the month of October 2016 we operated the Club's radio sets as W7DK/100. All stations with whom we logged at least one contact will receive a special edition of the Club's QSL card (sent to your FCC database address). 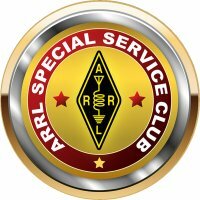 Stations working W7DK/100 on five combinations of band and mode will receive the Club's centennial pin. Our QSOs have been uploaded to Logbook of The World (LoTW) using callsign W7DK/100. Thanks to all the stations we worked in over 400 QSOs. Apologies to the stations we couldn't work through noise, QRM and less-than-wonderful conditions. We fell short of WAS, by two states. DE, we can understand. MT... not so easy to explain. We managed quite a few JT9 and JT65 contacts along with some PSK31, RTTY, and of course SSB and CW. QSL cards have been mailed, and domestic destinations should have them by mid-January 2017. For DX recipients, a bit more time in transit can be expected. There's no need to SASE for this event. On Sunday October 16, 2016, the Radio Club of Tacoma officially celebrated its 100th birthday. The party was held at the Scottish Rite Temple in Tacoma, from 2PM to 5PM. As we listened to the many voices, we enjoyed birthday cake decorated with artwork from John Clarke AC7WW that was used to create our Centennial Pin. 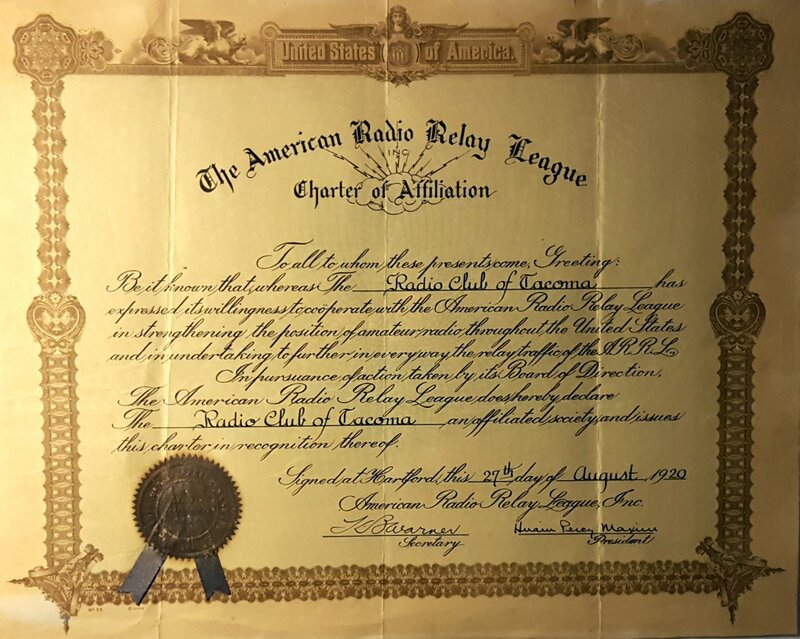 As a finale, the Club unveiled a historical artifact: the original Charter of the Radio Club of Tacoma, signed by the Old Man himself, Hiram Percy Maxim. 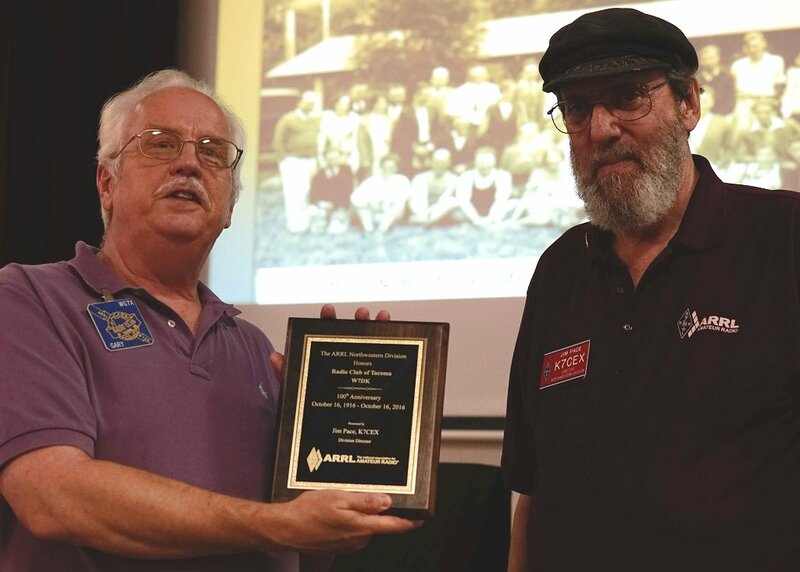 The charter was recently unearthed (so to speak) by Club librarian Doug Oakman AD7AV from a collection of archival materials that have accumulated over the century of the Club's existence and which, until recently, had been in storage. The Club had a facsimile of the charter, long believed to be the original, which was so deteriorated that its true nature was not readily apparent. Restoration of this document has been contemplated for several years, with no good alternatives having been found. What a delight to find the actual, original charter still in our possession and in near-pristine condition! It has been mounted and framed using museum-quality materials and techniques so that it can safely be put on display at the Clubhouse. The celebration concluded with the distribution of sparkling cider to all attendees and a toast to the past and next 100 years of the Radio Club of Tacoma. Huge and surpassing thanks to Dave and Anne Ellison (W7UUU and N7ANN) who organized and managed this event.